First, you need to start sharing the document or folder. 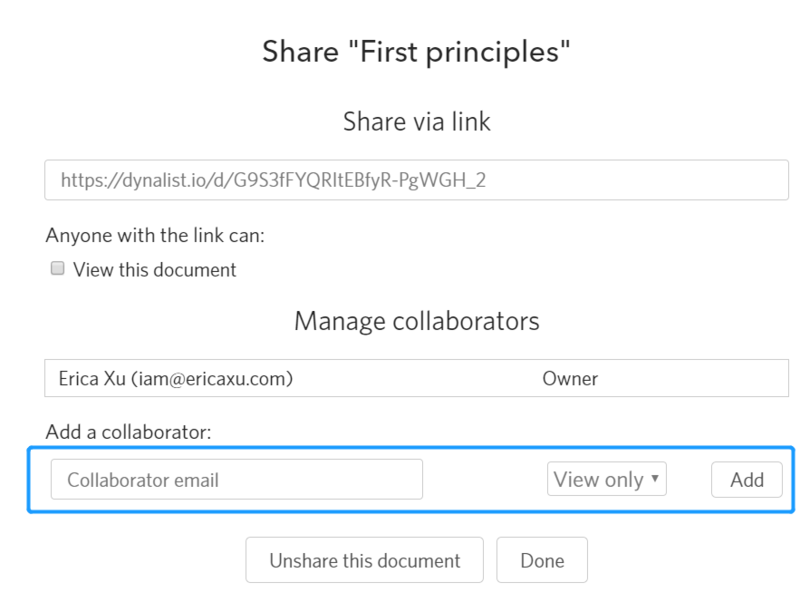 To add a collaborator, enter his or her email in the input box under the “Manage collaborators” section in the popup and choose a permission. To remove a collaborator, click on the × icon at the right end of each collaborator row. “View only” and “Can edit” are straightforward. “Manage” permission allows the collaborator the manage the sharing options, which means he or she can add more collaborators or kick out existing ones.